Keeping your home and your family warm is a big concern, and rightly so – you spend a large portion of your income on it, so naturally you’ll be concerned that you’re making the right choice. We’ve rounded up some of the most common queries our customers have had about home heating oil to help make sure you make the right choice for you and your family. There are lots of options available to heat your home in Ireland, from natural gas to natural resources, but domestic oil is still the most popular choice by far and there are plenty of reasons for this. Firstly, it’s in plentiful supply. With new sources being discovered all the time and healthy reserves available it’s going to be around for quite some time. In addition, thanks to the supply being so healthy, the cost of home heating oil is also one of the most economical options available to you. Most people think there is only one choice of home heating oil, but in fact there are two distinct types. The first is kerosene, which is what the majority of homes in Ireland use to fire their boiler. The second is Gas Oil, which is also used to heat businesses and run non-road vehicles making it a popular choice for the agricultural industries. In Ireland, this type of fuel is dyed a green colour to differentiate it from the diesel you put into your car, and so for this reason it is commonly referred to as ‘green diesel’. Does home heating oil have any added benefits? Using oil to heat your home is safe, convenient and easy. Having an oil tank ensures that you have your own private supply of heating on your property, and you will not be interrupted in supply from external sources like engineers working on a national gas grid. You can also monitor it very easily to make sure that you never run out. It is also possible to incorporate inexpensive additives to your oil, which can help boost its performance as well as keep your tank and fuel supply line clean so that you avoid costly repairs. 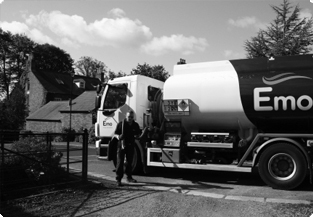 Like with any other fuel source, you will have concerns about it keeping it safe and secure to protect your home, family, wildlife and of course your investment. 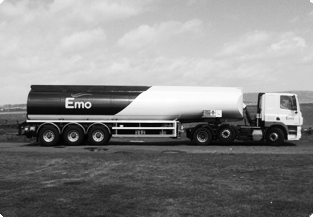 Storing your fuel safely in a tank is easy, and you can read more about it in our blog here. You’ll also want to manage it carefully so that it doesn’t run out but this is easy to do either yourself, or by getting an electronic gauge for accuracy. It’s also important to be vigilant about protecting your tank against fuel thieves who might try to steal it.